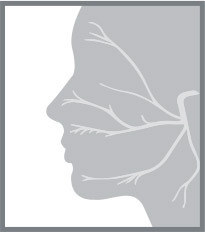 Facial paralysis prevents an individual from moving one or both sides of the face. There are many types of facial paralysis, and these conditions affect thousands of people around the world. To better understand the impact of facial paralysis, let’s take a look at three types of facial paralysis. Bell’s palsy occurs due to trauma or inflammation of the facial nerve, also known as the seventh cranial nerve. The facial nerve travels through a bony canal in the skull and is located beneath the ears and muscles on both sides of the face. 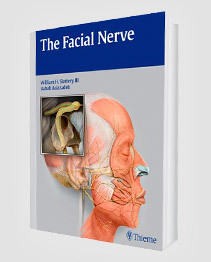 The facial nerve controls facial expressions such as frowning and smiling, along with facial movements like opening and closing the eyes. In addition, the facial nerve transmits taste sensations to the tongue. Recent research shows Bell’s palsy accounts for 60 percent to 75 percent of unilateral facial paralysis cases. With Bell’s palsy, individuals experience an interruption in the messages that the brain sends to the facial muscles. 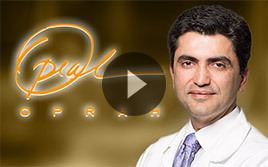 This leads to facial weakness or paralysis. Bell’s palsy affects roughly 40,000 Americans annually, according to the National Institute of Neurological Disorders and Stroke. 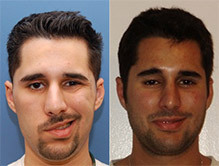 In many instances, Bell’s palsy symptoms will disappear on their own within about three months of initial diagnosis. However, if Bell’s palsy symptoms persist, an individual should consult with an expert facial plastic and reconstructive surgeon like Dr. Babak Azizzadeh to receive in-depth treatment. Congenital facial paralysis affects children at birth and may cause various problems for a newborn, such as incomplete eye closure and difficulty breathing. If the paralysis goes unaddressed, it can impact a child’s speech and ability to make facial expressions. A child who displays symptoms of congenital facial paralysis requires an extended physical examination. At The Facial Paralysis Institute, Dr. Azizzadeh utilizes a team of experts that includes neurologists, ophthalmologists, and physical therapists to provide the highest level of care. That way, a congenital facial paralysis patient can get advanced support. Moebius syndrome is a type of bi-lateral facial paralysis that may be noticeable at birth and impacts the sixth and seventh cranial nerves, both of which are necessary for normal muscle function in the face. Children with Moebius syndrome may struggle to control eye movements on the affected side of the face. They also may find it difficult to frown, smile and use the “sucking” mechanism. The Facial Paralysis Institute utilizes a safe, customized treatment plan to assist Moebius syndrome patients. This plan is designed to deliver improved facial reanimation, resulting in increased facial symmetry and overall function. Before an individual undergoes any type of facial paralysis treatment, it is important to consult with a facial paralysis expert. By doing so, a person can receive a comprehensive examination, pinpoint the cause of facial paralysis and determine the best course of action to resolve the issue. 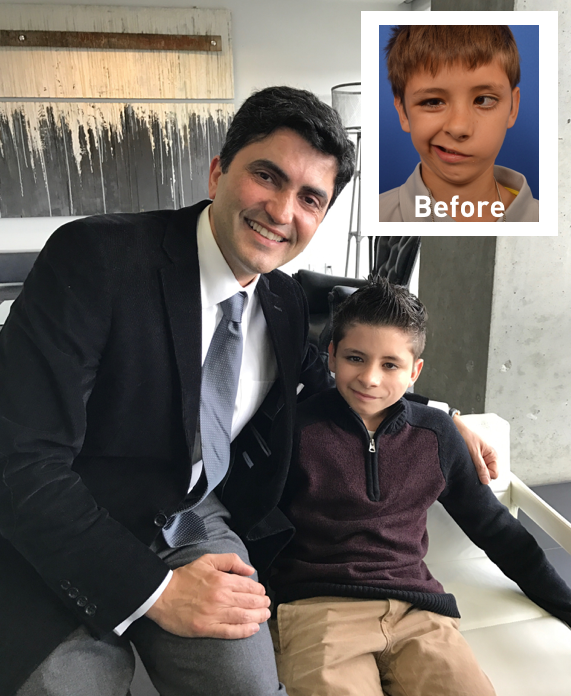 Dr. Azizzadeh and The Facial Paralysis Institute team are happy to help individuals mitigate the effects of facial paralysis. To learn more, please call us today at (310) 657-2203 to schedule a consultation.